The Brown Super King Size Faux Leather bed frame is designed in the classic Chesterfield style which looks fantastic in all bedroom settings. 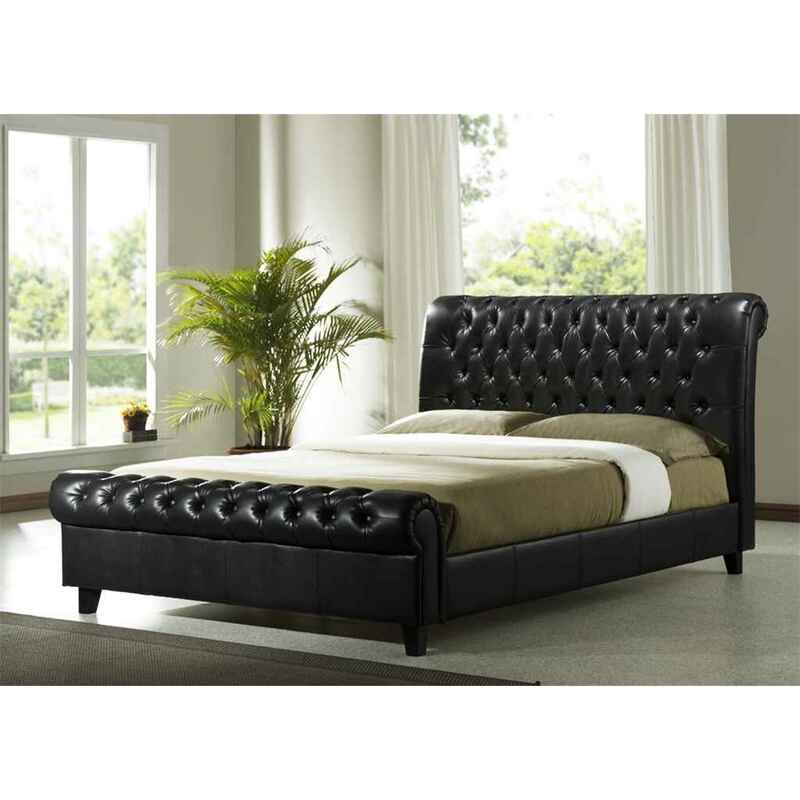 It has elegantly finished head board and foot end, with the plush faux leather giving the feel our true luxury. The bed has solid wooden feet and a robust sprung slatted base for extra comfort. The Bed Frame is also available White colour and in Double, and King Sizes.